Many athletes do a lot of isolated core work like side or front planks, hollow rocks, leg lifts, and so on. This type of core strength is valuable when in conjunction with teaching athletes the basics of breathing, bracing, spinal control. However, we have to remember that we can’t just stop at only core focused or more static exercises. Our core is one component to the entire chain that must produce, absorb, and transfer force. For this reason, following a few month mesocycles of core strength, I make it a point to teach and use a lot of medball slam work with gymnasts I coach. Along side this, some of the best injury prevention methods are teaching athletes how to dynamically handle load, and then building their tissue capacity to handle high force. I use these same medball drills in the advanced stages of my rehabilitation programs for gymnasts I work with who are pain free, but are not quite ready to return to full gymnastics. It’s great to help rebuild their core capacity to handle medium loads before introducing light tumbling/compression. Today I wanted to share 3 of my favorite go – to medball exercises I use with athletes. More specifically for gymnastics, standing medball slams help work quick powerful shape changing and snapping into flip or release skills. Seated overhead medball slams teach setting power during tumbling and also the help prevent lower back buckling in tumbling. Lastly, 1/2 kneeling medball slams are a fantastic rotational drill that helps set the stage for twisting on all events. If you like these drills and are interested in learning these concepts in depth, be sure to check out my new e-book, “SHIFT Gymnastics Educational Vol: 1”, where I cover in depth chapters of my favorite core control, core power, and other strength drills for maximizing gymnastics performance and reducing lower back pain risk. 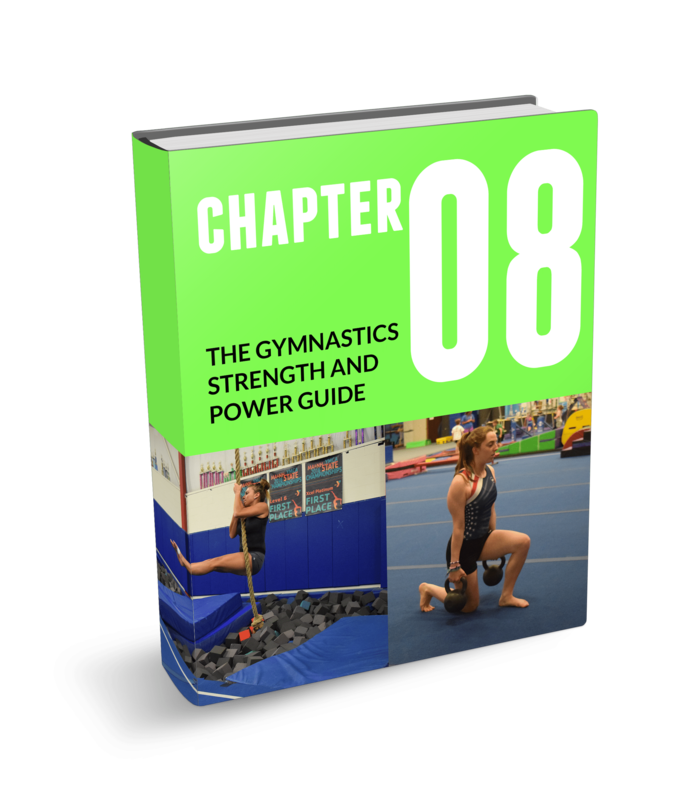 This plus chapters on maximizing flexibility and gymnastics specific training concepts, as well as 100’s of reference pictures within. For those that want a few more instructional points, here are a few. Start sitting in a medium width straddle position, with upright posture and core braced. For sports, especially gymnastics, and for life we have to remember our core functions as a large force transfer point in conjunction with our arms and our legs. It has a multipurpose role of generating, transferring, and absorbing force as a unit. If your someone who has never been exposed to medball technique, be sure to seek out someone who can walk you through the proper steps. As you could tell in the video, the people who were first learning the technique just used foam blocks. Over time as the quality of motion becomes learned, you can move up to light weight medballs for a training effect. Hope this helps! Gymnastics and Lifting Weights: Don't Fear Plates, Kettlebells, and Barbells.